Stunning & gorgeous 2-story home in gated community in Southern Highlands, with 2-tone paint 3 car garage spacious kitchen with island, custom cabinets formal dining room, separate family room, huge master suite with sitting room, master bath & has a separate tub/walk-in shower, an olympic sized pool, covered patio, balcony, a den downstairs and upstairs situated in a cul-desac and much more! MLS#2076887. Stonegate Real Estate Services. 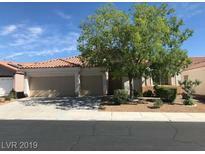 Southern Highlands - Modern new kitchen with all stainless steel appliances included, 2 wine fridges, salt water heated pool, quartz countertop and island, plantation shutters & ceiling fans throughout, open floor plan concept, new updated bathrooms, custom Elsa closets....WOW!!! ! MLS#2076710. Realty ONE Group, Inc.
Southern Highlands - Community adjacent to park/plygrnd, walking paths and convenient shopping. Great Schools. MLS#2074936. Orange Realty Group LLC. 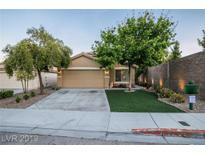 Via Dana At Southern Highlands - Nearby shopping center w/access to 15 & 215 freeways. MLS#2076683. GK Properties. 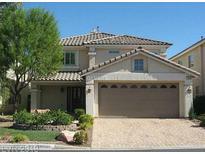 Via Dana At Southern Highlands - This home is on a premium lot, it won't last long MLS#2076945. The Mor Group. Royal Highlands At Southern Highlands - This is a must see! Check it out today MLS#2076277. Acclaim Real Estate. Royal Highlands At Southern Highlands - Huge corner lot with a pool sized backyard! MLS#2075926. Keller Williams Realty Las Vegas. Royal Highlands At Southern Highlands - Cul-de-sac Buyer and Buyers agent to verify all data and measurements. MLS#2075981. LIFE Realty District. Via Dana At Southern Highlands - Master same level as main living areas. MLS#2076261. Signature Real Estate Group. Highlands Ranch - Owner's suite with spa like bathroom. Low HOA. A must see... MLS#2075438. Realty ONE Group, Inc.
Cactus Hills Manor - Covered Patio and Gas BBQ Stub. MLS#2075611. Realty Executives Southern. Foothills At Southern Highland - Many Interior Amenities Including Large Rooms, Cathedral Ceilings And Spacious Beautiful Kitchen. MLS#2075551. Prominent Realty Group LLC. 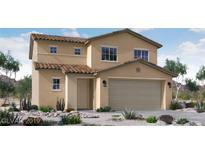 Bella Terra At Southern Highlands - Great comm w/parks, basketball & tennis courts. MLS#2075139. GK Properties. Beazer Souther Highlands - Shopping, park and school are nearby. MLS#2074950. Landmark Realty. Bella Terra At Southern Highlands - Enclosed backyard with cover patio and BBQ stub great for outdoor entertaining. MLS#2074934. Compass Realty & Management, L.
Estates At Southern Highlands - New Custom Kitchen With Wolf & Subzero, Spa Like Master Bath W/His & Hers, Linear Fireplaces, Extensive Custom Stone & Quartz Work. MLS#2074470. Realty ONE Group, Inc.
Foothills At Southern Highland - Unique** HIGHLY UPGRADED, like no other**5 Over size Bedrooms all with in-suite Baths**African Mahogany Hard Wood**Gourmet Kitchen with Quartz Stone Counters/Island**Full bedroom/Bath Down**Master Bedroom is massive w Sitting room and Stunning Master Bath ( Dual Walk in shower, Jetted Tub)**Extensive Crown Molding & 8 inch Baseboards**Fireplace**Surround Sound* LED Lighting**French Doors Lead out to Covered Patio with Grassy Lawn**GUARD GATED* MLS#2074716. Urban Nest Realty. Castellina Southern Highlands - Large 5 Bedroom Home,Bed & Bath Downstairs, Huge Great Room, High Ceilings At Entry Area,New Carpets, New Quartz Counter Tops & Stainless Steel Stove, Microwave, Dishwaser In Kitchen, Loft/Study Area Upstairs, Large Master Bedroom, Excellent Value! MLS#2074523. 1st Priority Realty, LLC. Beautiful backyard oasis has sparkling pool w/wet deck & water feature...and much, much more. MLS#2074677. Signature Real Estate Group. Toscana Vinyards At Souther Highlands - Best of Las Vegas #1 Master Plan Community. MLS#2074310. Keller Williams Southern Nevada. Cactus Sorrell - Upstairs laundry room for added convenience. MLS#2073861. LIFE Realty. Cactus Sorrell - Loft could be turned into an optional 4th bedroom, shutters throughout, vaulted ceiling at entry, formal living room, separate dining, great size family room w/ surround sound & speakers in place, stainless steel applicances, built in oven & microwave, upgarded cabinets, huge master bedroom, incredible master bath, custom walk-in closet, loft, covered patio, & much more MLS#2074076. Simply Vegas. Belmont Park - *tuscan Style 2 Story Home*entertainers Dream*gated Community*rock Front Accents*tile Flrs*vltd Clngs W/ Fans*shutters*gourmet Ktchn W/ Granite Cntrs, Island, Brkfst Bar, Veggie Sink, Ss Built-in Appliances & Butler's Pantry*lrg Soaking Tub & Raining Shwr In Mstr Bthrm W/ Walk-in Closet*beautiful Mtn Views From Balcony*3 Panel Sliding Doors To Cvrd Patio*pavers In Back W/ Fountain & Low Maintenance Landscaping*3 Car Grg W/ Storage Racks* MLS#2073452. Keller Williams Market Place. Foothills At Southern Highland - Square footage is 4876 including the casita. MLS#2072629. Silver State Realty & Inves. San Niccolo Southern Highlands - Vaulted ceilings, upgraded paint, fireplace, oversized master bedroom, bathroom and closet. Don't miss it! MLS#2073283. Rossum Realty Unlimited.